No ties in St. Petersburg. 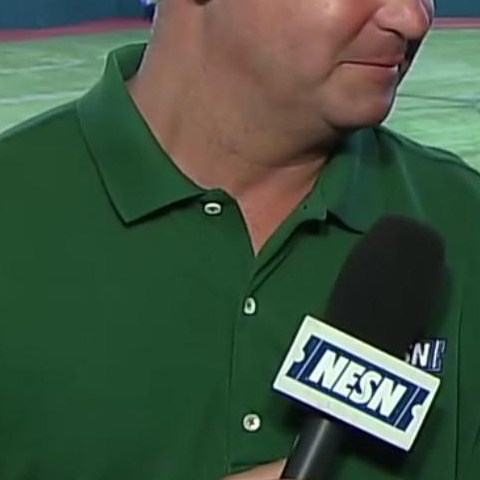 Instead Don Orsillo and Jerry Remy were attired in matching NESN polo shirts. They were the color of the FieldTurf that covered the stadium floor from 2000 through 2010. This season AstroTurf made a reappearance at Tropicana Field as part of MLB’s three-year licensing deal with the Dalton, Georgia-based company. The Blue Jays and Rays received free re-turfing as part of the contract. Not even new plastic grass improved the looks of this venue. MLB.com’s Gameday representations make the most drab parks have a touch charm, except for this stadium. The lack of forklifts and pallets finally convinced me that this was in fact a ballpark and not a warehouse. James Shields chilled the red-hot hitting Boston lineup, limiting them to five hits and three walks while striking out five in a complete game shutout. Justin Ruggiano robbed Dustin Pedroia of what would have been an extra base hit with a running snare for the first out of the sixth. Carl Crawford was greeted with a mixture of cheers and jeers. He harmlessly grounded out to first with the bases loaded in the first and didn’t produce in either of his remaining two at bats. There was no way Crawford was going to stay with the Rays. The difference between the Yankees’ ($202,689,028) and Red Sox’s ($161,762,475) payrolls is $40,926,553, just slightly less than the Rays’ total salary ($41,053,571).